Our anti-riot helmet is a good choice for head protection for police in riot situations or other non-ballistic risky environments. The anti-riot helmet is produced with high quality materials and advanced techniques. It offers reliable performance and excellent finish, quick-release system, and the suit is cost-effective. 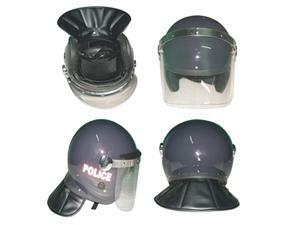 As a China-based supplier of anti-riot helmets, we provide not only anti-riot equipment, but also bulletproof shields, military bulletproof vests, bomb disposal suits, bulletproof helmets, and ballistic products.